Remove attachments from your Outlook emails. Optionally save the attachments to a hard disk and insert a link to them into the message. 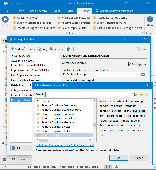 Attachment Explorer is an easy to use tool that you can use to easily navigate all you Outlook folders for attachment.